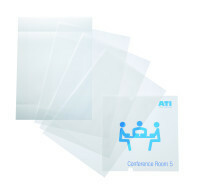 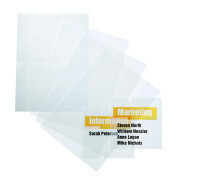 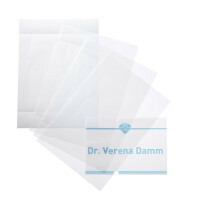 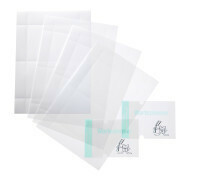 Complete with 2 semi-translucent, PC-printable A4 inserts. Free design software is available for download from www.durable-uk.com. 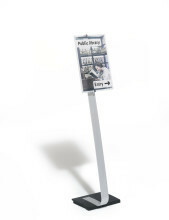 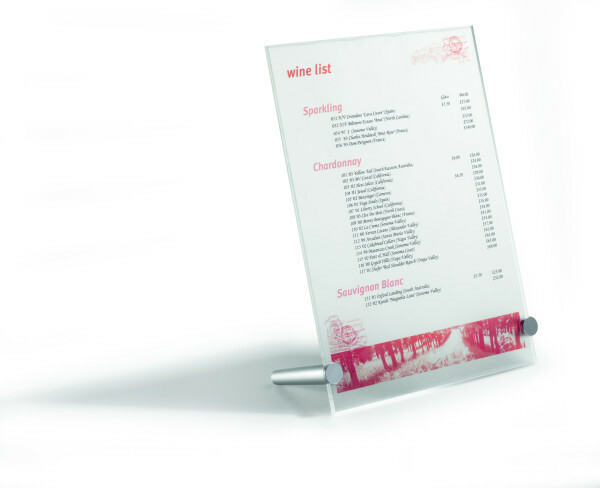 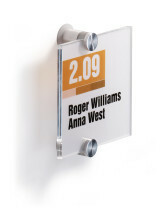 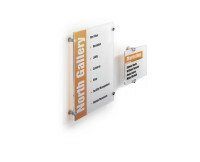 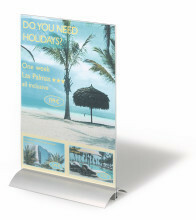 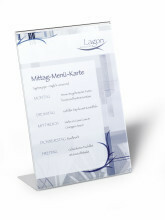 Table sign with ergonomic reading angle thanks to adjustable display for documents and information in A4 format. 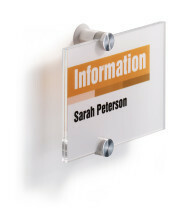 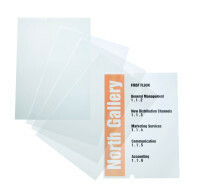 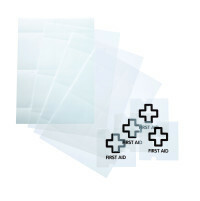 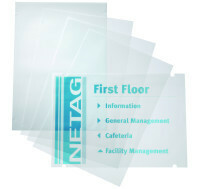 For effectively displaying information at conferences, trade fairs, exhibitions and receptions etc. 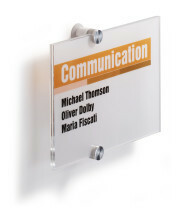 Made of high quality clear acrylic. 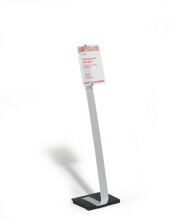 Self-adhesive rubber feet ensure the stand is slip-proof and very stable.